I’m off on my hols on Saturday for a couple of weeks but I’ve found myself asking this question – how difficult/easy will it be to have a frugal holiday in the ‘shopping paradise’ that is Hong Kong? I go every year and several months after my trip, I’m usually still paying off the holiday. This is despite not spending any money on hotels/accommodation as I stay with various members of my family. I end up buying all sorts of stuff – clothes, handbags, stuff for the kitchen, gadgets and the odd souvenir. This time round however, I’m going to actually try to keep an eye on my spending. Think ‘needs’ not ‘wants’! Fortunately, I don’t have to go to the various tourist attractions, although I’m hoping to visit a new museum dedicated to the Tiananmen Square protests in 1989 (assuming the opening goes ahead). However, there’s also going to be a weekend in the sun in Macau while I’m out there but that’s already budgeted for as part of my holiday. 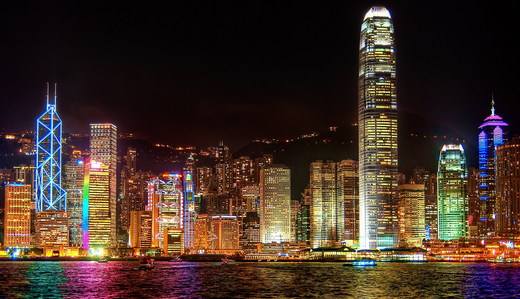 There was a time when shopping in Hong Kong was very cheap compared to the UK and while this still holds true for certain things such as textiles, trainers and certain electronics, you have to go to the right places to get bargains. Oh, except for McDonalds, which is so cheap out there that were I so inclined, I would eat there every day, in particular the breakfast items which are served ALL DAY! 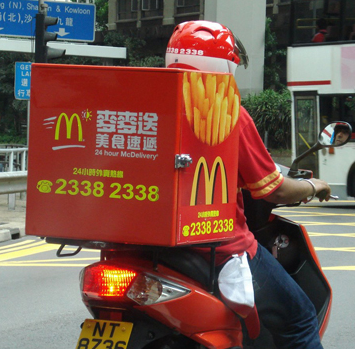 Plus they deliver too, 24/7, no minimum order, but that’s another story (they call it McDelivery!). But anyway, really, it is quite difficult not to buy things and even I, (and I don’t rank shopping as one of my hobbies), will get drawn in and end up shopping for the sake of shopping! It does not help that my sisters do class shopping as one of their favourite hobbies! I’m planning on spending a lot of time with family, thought of ways to keep my niece and nephews entertained without having to spend much money and have made a shopping list which consists of a new pair of trainers (to replace the 5 year old pair I have), a couple of work tops (some of mine really are looking a bit shabby) and green tea teabags (cheaper and better tasting!). If I spot them at a bargain, I may even pick up Christmas presents for friends and colleagues! There are places to visit that won’t cost a lot of money, eg parks, other museums. I need to find a pair of light comfortable shoes/trainers (see above shopping list!) so I can do a lot of walking without being tempted by the ubiquitous taxi cabs. But the main thing is that I don’t end up buying ‘stuff’ for myself just because it looks cool, different or just because you can’t get them in the UK…wish me luck! This entry was posted in Blog Update, Travels by weenie. Bookmark the permalink. Have an awesome time Weenie! I wish you all the best with staying strong with your spending too. Being in another country is so exciting and when you have friends and family around you spending freely, it's difficult to cultivate discipline. I have no doubt you'll have some fun, spend a bit, and manage to walk away spending less on holiday than you ever have before! The last time I went on holiday I spent all of my budgeted spending money. I plan on being much more disciplined on our holiday this year. I've learned that you don't have to spend money to have fun, and there are so many free or very cheap ways to get the best out of life. I'm looking forward to seeing how I rise to the challenge with all of those temptations out there. Enjoy HK, and I look forward to hearing about it when you return! Have a great holiday and come back to let up know how did it go. Cheers Huw – I had a great time and kept my spending to a manageable level!